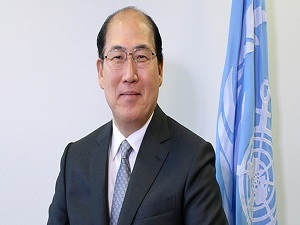 The Sea Traffic Management (STM) project has received support from IMO Secretary General Kitack Lim. During the STM Validation Project Final Conference at the IMO earlier this month, Lim said that STM goes hand in hand with IMO goals. STM connects and updates ships and ports in real time and facilitates efficient information exchange. The system has been developed in three consecutive E.U.-projects running 2010-2018. Last year, the STM Validation project successfully installed the first STM compatible bridge systems, connecting ships with shore based services. The ships equipped were Stena Germanica and two rescue vessels from Swedish Sea Rescue Society. Stena Germanica, while on route from Gothenburg to Kiel, automatically shared her route with the two rescue vessels, and at the same time received their routes and displayed them on the ECDIS. The route message format used, developed as a part of the STM Validation project, is transmitted to other ships over ordinary AIS.